The second post on the speaker profile series for Startup Iceland 2014. I believe that we are embarking on the next industrial revolution and Bre has been in the forefront on this. Making things is the what he does and I am not surprised that he build a 3D printer to make things faster and better and cheaper. For those of you who are non-believers all you have to do is watch the video at the end of the post. Revolution is coming, are you ready? You want to learn more? Buy your ticket now for Startup Iceland. 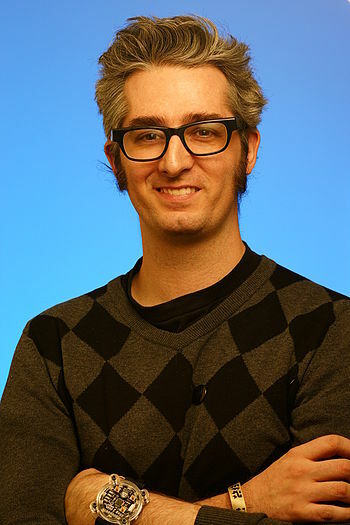 Bre Pettis has led MakerBot as CEO since its beginning in 2009, but has a long history of making things and inspiring others to make things. Prior to co-­‐founding MakerBot, Pettis co-­‐founded the Brooklyn hacker collective NYC Resistor, where MakerBot technology was first created, tested, and proven. He was instrumental in building the first prototypes of MakerBot’s 3D printers, and has become known worldwide as a leading evangelist for personal manufacturing. In 2006, Bre started the popular “Weekend Projects” video podcast for Make: Magazine, where he taught millions of viewers to make things from pinhole cameras to bicycles to hovercrafts. He also introduced the blog at the popular online handcrafts marketplace, Etsy. Prior to both endeavors, Bre was an art teacher in the Seattle Public Schools system. Bre is passionate about providing the tools for individuals and organizations to create the world around them. He has spoken publicly about empowering students to solve the problems of the future, and worked behind the scenes to bring professional-­‐quality 3D printing technology into the hands of average consumers. In 2012, Bre was honored with the Disruptive Innovation Award from the Tribeca Film Festival, for “creating an entire ecosystem for desktop 3D printing.” He has been a highly sought-­‐after speaker and interview subject, gracing the cover of numerous magazines (most recently WIRED), and been a guest on The Colbert Report, and many more. Bre lives in Brooklyn with his partner Kio Stark and their daughter, Nika.